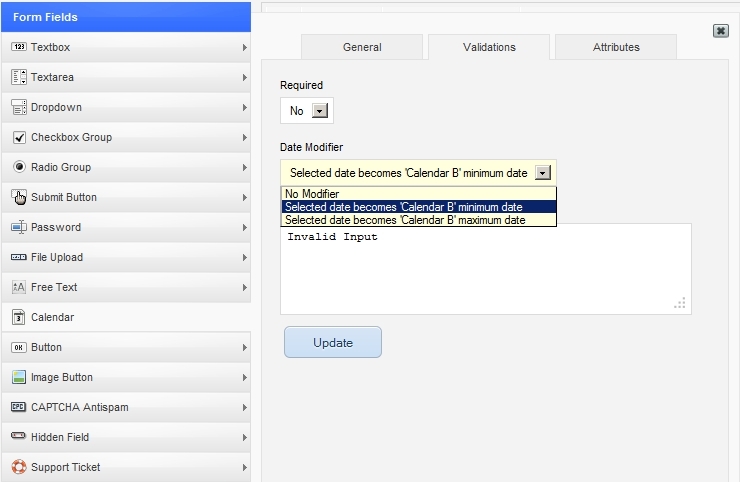 The Date Modifier feature offers the possibility to interconnect multiple calendar fields so that the selection from one calendar can be set up to be the start or end date of another. Components > RSForm!Pro > Manage Forms > edit your form > Components > edit the Calendar A field > Validations tab and set the Date Modifier drop-down to Selected date becomes 'Calendar A' minimum date. 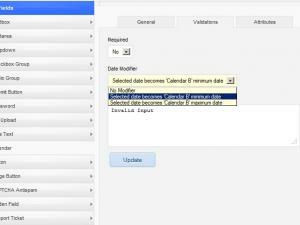 You can find more information on the Date Modifier feature here.